Based on the spot fixing case in Indian Premier League,2013 Indian cricketer S. Sreesanth was punished by life time ban from all format of cricket. But today on 15 march the Suprem Court has canceled the life ban on him. The apex court made it clear that its order shall have no effect on criminal proceedings pending against the cricketer and the judgment was delivered by a Bench of Justices Ashok Bhushan and KM Joseph. Restricted cricketer S. Sreesanth claimed in the Supreme Court that the BCCI's decision to impose a life ban on them is "totally inappropriate". 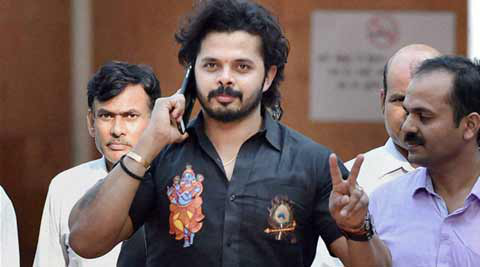 Sreesanth said that the Delhi Police had given him 'constant torture' in custody for accepting involvement in the 2013 IPL spot fixing affair. That's why he had to accept his involvement in alleged crime because the police tortured him in custody and threatened to implicate his family in this case.